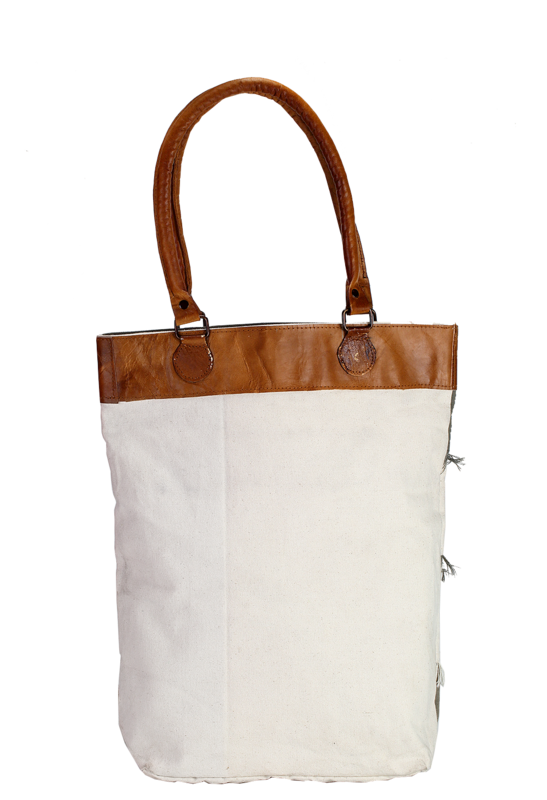 Fashionable and very sturdy in look, this cotton bag has a unique exterior where its upper edge is designed with leather fabric. 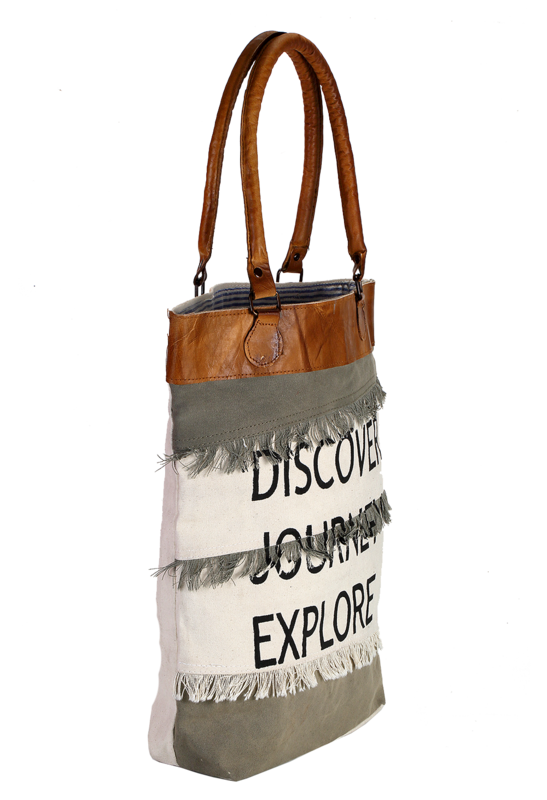 Unlike other eco-friendly bags, its graphics and the way it is crafted gives a unique design of the product, making you love the product whenever you carry it. 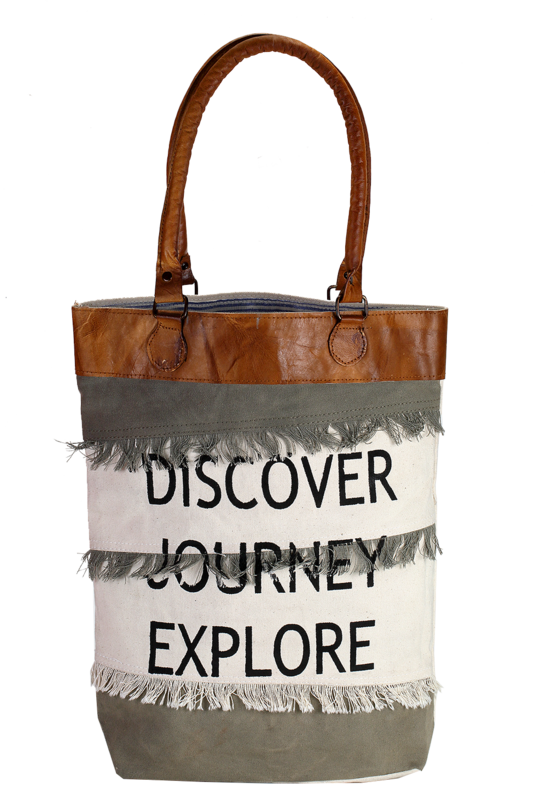 With shades of grey and white, this bag displays a cool line in writing words like ‘discover,’ ‘journey’ and ‘explore.’ Moreover, it has 42 cm height, 36 cm width and 10 cm depth that makes the product roomy, yet keeps it stylish.